Bajaj Pulsar 300 features, yes we will provide you Bajaj Pulsar 300 specification and Bajaj Pulsar 300 price in India very soon. Bajaj Auto is going to add one more big bike in its Pulsar series with expected price of Rs. 150000. After news of Yamaha Fazer with 300cc engine, its major competitor TVS Apache with 300cc powerplant and Mahindra Mojo 300, the company is planing to launch this Bajaj Pulsar 300 cc bike in India. It is expected that the bike might be loaded with DTS-Fi, single cylinder, 300cc mill that offer excellent power and performance which will provide zipper acceleration and pick-up. 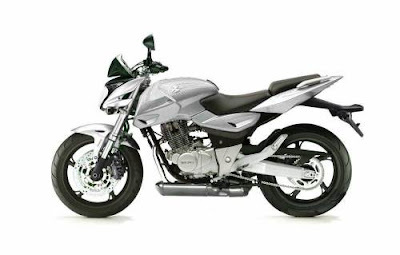 The bike might be produced by Bajaj auto and Kawasaki engineers. So the bike might be very good performer and best in class. At present, Bajaj Auto is having four bike in Pulsar series namely Bajaj Pulsar 135, Bajaj Pulsar 150cc DTSi, Bajaj Pulsar 180cc DTSi and Bajaj Pulsar 220 DTSi. All the bikes are available in colour rage of Plasma Blue, Cocktail Wine Red, Mid Night Black, and Misty Grey Silver. 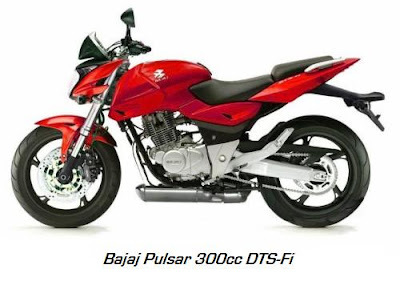 And it is expected that this new Bajaj Pulsar 300cc might be available in same colours range as its other siblings. The DTS-Fi technology and 300cc engine blessed this bike might be very fuel efficient which offer to average mileage of around 20 to 25 kmpl.